No code needed. 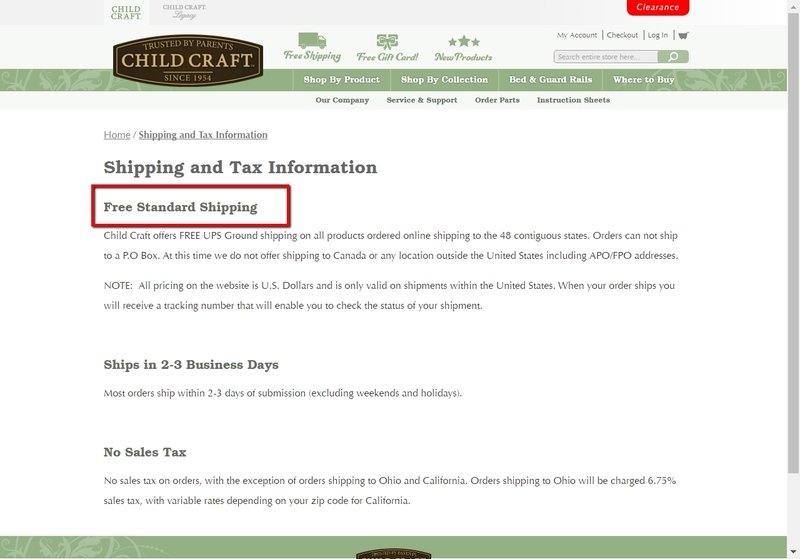 Click the button to redeem your discount at childcraftbaby.com. Ongoing deal, never expires. Last validated 2y ago . Used 46 times. 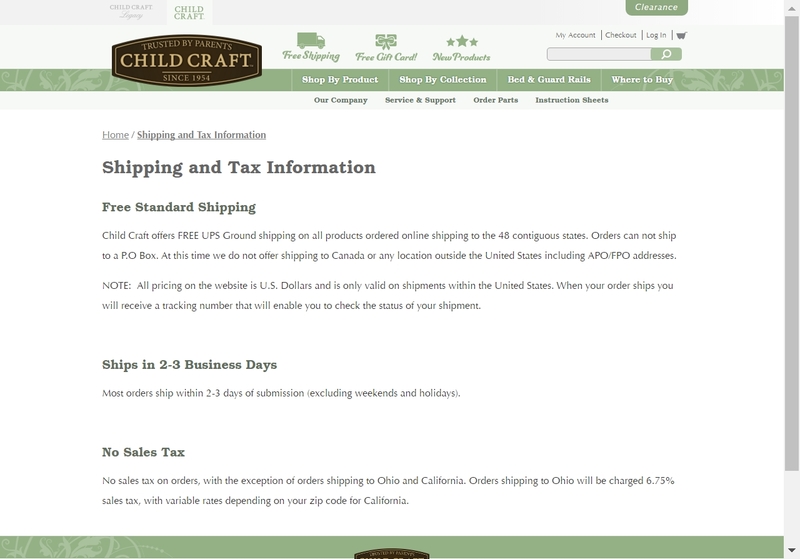 @couponaddict Just tested this deal for Child Craft and verified that it gives you free standard shipping.